Most people who journal use words. But words come from the left brain, which interprets experiences through our learned beliefs and expectations. 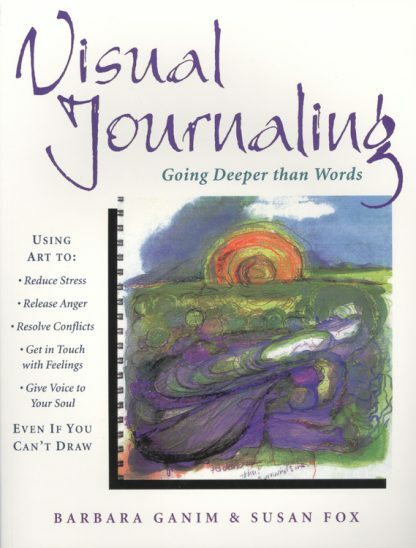 As this breakthrough book demonstrates, there is a more effective way to journal---using images. Simple drawings, crayon art, even doodles and stick figures can help anyone---even those who believe they "can't draw"---move beyond thought into deep reaches of feeling and intuitive knowing. Barbara Ganim and Susan Fox have developed their Visual Journaling technique into an acclaimed workshop. This book, beautifully illustrated with black and white and color drawings from the journals of students in their workshops, makes this enjoyable tool for personal exploration accessible to everyone. A six-week plan of exercises and interpretive activities teaches readers a lifelong practice that can reduce stress, explore conflicts, and overcome obstacles. Its simple techniques can help everyone gain access to "soul-based" inner wisdom.